Uterine aspiration, Dilation and Curettage and Dilation and Evacuation are some of the most common procedures in Canada. The rate of complications is less than 2% and most complications are minor and easily treated. If compared to pregnancy and childbirth, these procedures have fewer complications. However, like any procedure there are risks you should be aware of. Infection in the uterus occurs in 0.1 to 2% of procedures. You will be given antibiotics after your procedure to help prevent this from happening. Retained tissue (some pregnancy tissue is left in the uterus). This occurs in 0.5 to 1% of procedures. Sometimes the uterus is unable to expel the tissue and occasionally a second uterine aspiration is necessary. Continued pregnancy or failed abortion. This is rare and more likely if the uterus has an unusual shape, if the pregnancy is very early (less than 6 weeks), or if the pregnancy is not in the uterus. You may have to return for another visit or be referred to another physician. With a normal pregnancy in a normal uterus, there is less than a 1 in 1,000 chance of this occurring. Post-abortion hematometra. This is a condition where blood builds up more quickly than it can come out resulting in an enlarged and painful uterus. It is unpleasant but is not dangerous, and is treated by repeating the uterine aspiration procedure. This condition occurs in about 1 in every 1,000 procedures. Hemorrhage or excessive bleeding. Occurs in about 1 in every 1,000 procedures. It is sometimes caused by failure of the uterus to contract or by retained tissue. Usually this can be controlled by medications in the clinic. If heavy bleeding cannot be controlled in the clinic, transfer to hospital would be required. Injury to the uterus or other internal organs occurs less than 1 in 1,000 procedures. Transfer to a hospital and surgery to repair the injury may be required. Removal of the uterus is required in approximately 1 in 10,000 procedures. Allergic reaction to any of the medications given to you, or to latex or other materials in the clinic. Most reactions can be treated in the clinic. A very severe reaction would require transfer to a hospital. The risk of death related to surgical abortion is about 1 in 1,000,000. Most deaths are related to general anaesthesia or other medical circumstances. The risk of death during pregnancy and childbirth is ten times greater. Although cramping and bleeding are expected as part of ending a pregnancy, rarely, serious and potentially life-threatening bleeding, infections or other problems can occur following a medical abortion. The use of this treatment is not risk free. 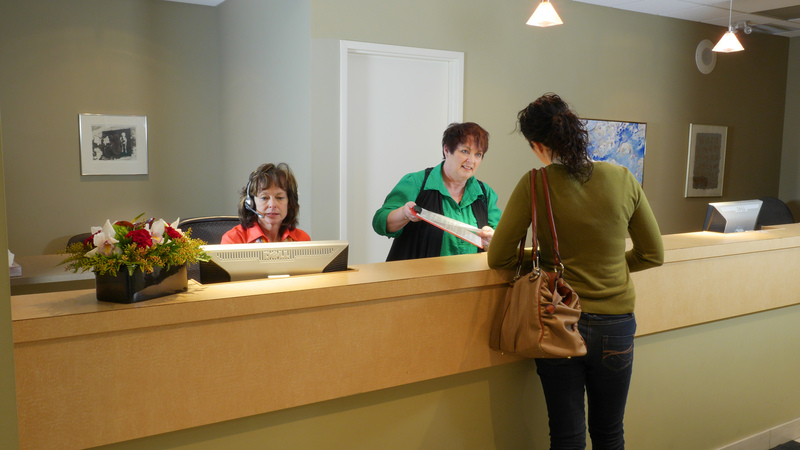 Whether you're looking to book an appointment or just have questions, we're here to help. This website and the information contained in it is strictly for the use of residents of Canada and is not intended as advertising or as a solicitation to treat non-residents of Canada.